Don't Mess With Me, I'm Scrappy: March Release Sneek Peeks Are Starting At Craftin Desert Divas! March Release Sneek Peeks Are Starting At Craftin Desert Divas! Today we have sneek peeks of the new flower border die and the new Blooming Tree stencil, and the new Digital Spring Friends. These are so much fun to work with! 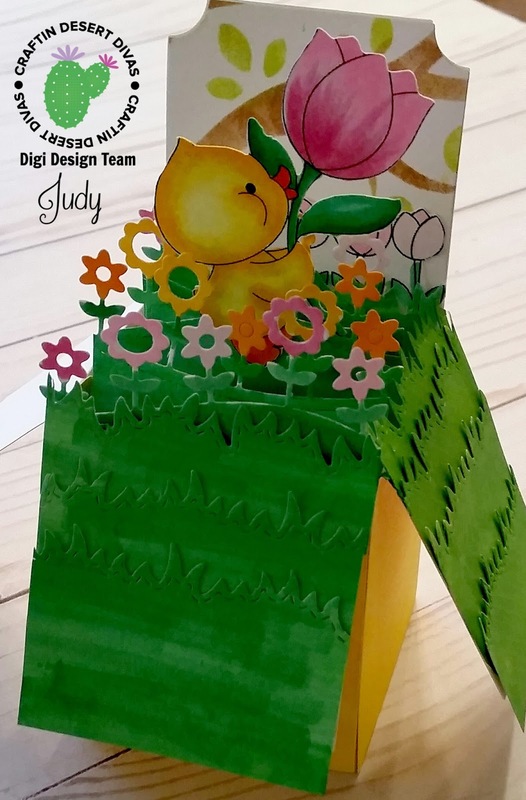 I have also used Box Card Die and the grass die from Outdoor Landscape 2 Dies.I have done my coloring with Copics and shaded in the stencil with Distress Oxides. Stay tuned for more awesome peeks tomorrow!